Rediff.com » News » Will the Lion win? Or will the Congress's foxes survive? Will the Lion win? Or will the Congress's foxes survive? The present-day Congress party does not lack leaders who want a Rahul-led Congress to taste electoral success, but wish he fails in his efforts to cleanse the party. The fable of the lion and the fox are in circulation in the grand old party even as Congress Vice-President Rahul Gandhi gets set to take over and rejig the All India Congress Committee secretariat ushering in his own set of advisors/courtiers. Each time a regime is changed, the fox suffers as the new leader lion (ruler or king) brings in his own favourite fox. Political philosophers like Cicero, Dante and Machiavelli extensively used the image and allegory of the lion and fox to describe the relationship between the king (leader) and his dependence on advisors/courtiers. The lion is the king, who rules his subjects with a high hand, while the fox is the advisor who serves as a mediator between the ruler and the people, and his interests as an advisor are paramount. Like Cicero, Machaivelli in The Prince records how the lion does not know how to protect itself from traps, while the fox cannot defend itself from wolves; for that he must be sly like a fox, to recognise the traps, and strong like a lion, to frighten the wolves. Hence a wise ruler cannot behave only like a lion and needs to rely on the fox. In the context of the transitory phase of the Congress -- from Sonia Gandhi to a Rahul-led party -- many old and wise men in the party now admit that it is now dawning upon them why Rahul kept a distance from the main organisation since the beginning of his political life in January 2004. It was aimed at exercising power and a purge. In the Rahul-led Congress party, two sets of leaders are likely to survive -- those capable of winning elections, and the cerebral types with a technological-professional background. For Rahul, a purge represents an unfinished agenda he has inherited from his grandmother Indira Gandhi and father Rajiv Gandhi. Indira sidelined all those who claimed to be Jawaharlal Nehru's eyes and ears. She disliked being tutored and told to do 'this and that'. When Rajiv replaced Sanjay Gandhi in 1981, many Sanjay associates discovered they were 'misfits' in the elder brother's team. Ram Chandra Rath, the powerful Youth Congress chief, found his influence waning quickly after Rajiv was appointed general secretary. After Indira Gandhi's assassination, many of her aides like Makhan Lal Fotedar were evicted by Rajiv and the same was done by P V Narasimha Rao, the next Congress prime minister. Sitaram Kesri's reign as Congress president saw the swift exit of Janardhana Poojary, Bhuvanesh Chaturvedi and others who were close to Narasimha Rao. When Sonia took over, many leaders claiming proximity to Rajiv, Rao or Kesri lost out. During the Congress centennial in 1985, a 41-year-old Rajiv with his 'Mr Clean' image still unscathed in popular perception, had hit out at party power brokers before a gathering at Mumbai's Brabourne Stadium. Rajiv appointed Arjun Singh as vice-president to cleanse the Congress, but the move did not bring about the changes he wanted. The plan to 'modernise' the Congress was challenged by the party's then working president Kamlapati Tripathi. The veteran wrote a letter, whose contents were selectively leaked to the media, questioned the modernising efforts. Tripathi asked Rajiv why 'professionals' who were 'good for nothing' had been brought into the organisation. Referring to the 'power broker' remark -- Rajiv had taken no names -- Tripathi cited how, when many Congress leaders had deserted Indira Gandhi in 1978, he had not been found wanting in loyalty. It remains to be seen if the new 'lion' will have his say or whether the foxes will survive. VOTE! Do you REALLY think Rahul is ready for PM's post? 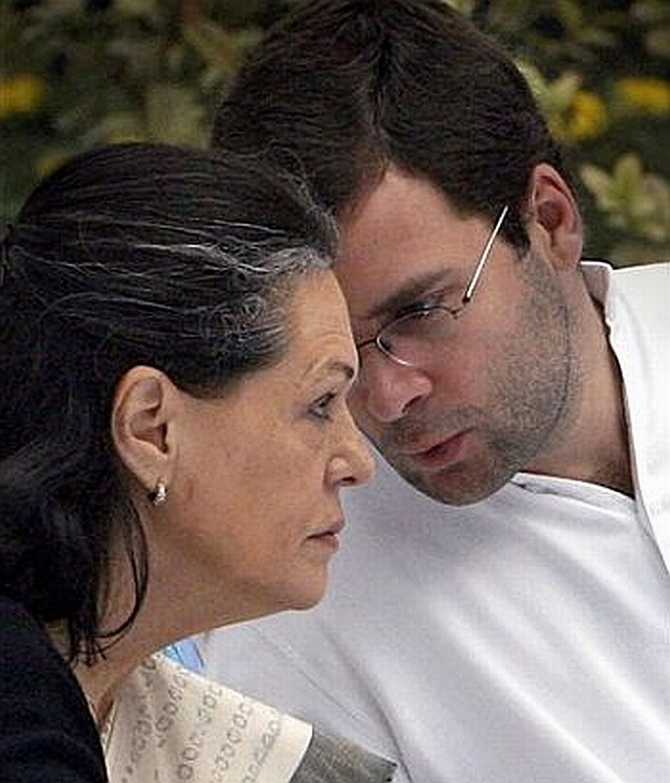 What will the Congress look like under Rahul Gandhi? What are you going to do next, Rahul?